(JTA) — David Blatt, the Israeli American who was fired this season as head coach of the Cleveland Cavaliers, reportedly is under consideration to take the New York Knicks post. Blatt is in the running for the job currently being filled on an interim basis by Kurt Rambis, ESPN reported Monday evening, citing unnamed league sources. Blatt played at Princeton with the Knicks general manager, Steve Mills, in the late 1970s and early ’80s. Several other coaches with NBA coaching experience are available, some with past ties to the Knicks. 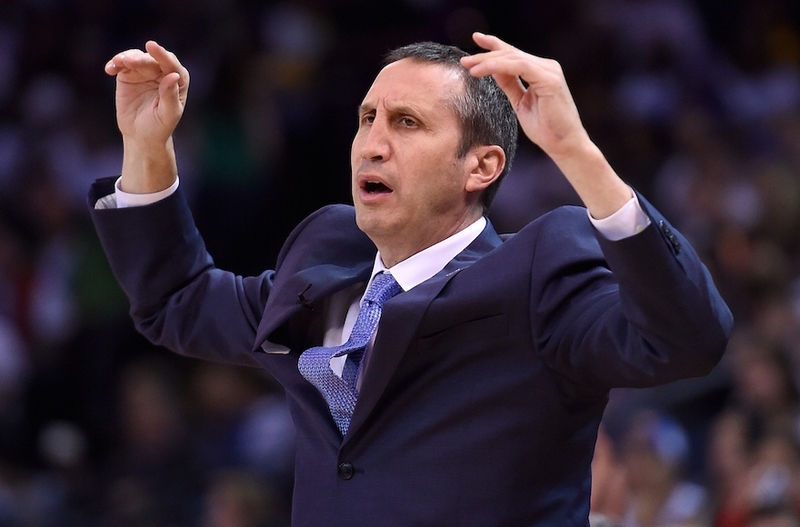 Blatt said at the time of his firing in January that he wanted to remain in the NBA, as opposed to returning to coaching in Israel and the European leagues, where he led Maccabi Tel Aviv to five national titles and the 2014 Euroleague championship. He also guided the Russian national team to a bronze medal at the 2012 London Olympics. At the time of his dismissal, the Cavaliers had the best record in the Eastern Conference. Some claimed the team’s superstar, LeBron James, undermined the coach. Blatt had led the Cavs to the 2015 NBA Finals, where they lost to the Golden State Warriors in six games. He reportedly also is being considered for head coach of the Brooklyn Nets, the New York Post reported. The team is owned by Russian businessman Mikhail Prokhorov, who knows Blatt from his time as a coach in Moscow.